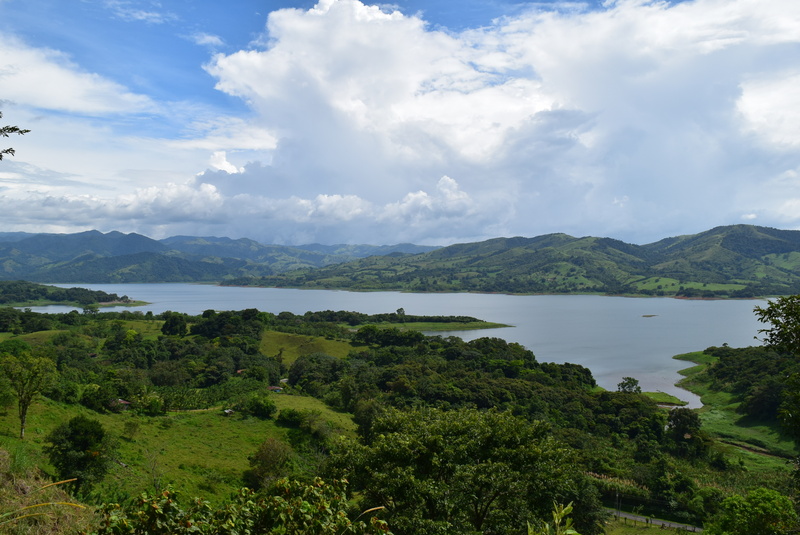 One acre building lot 400 meters from lake paved road going to La Fortuna for easy access, already has septic and water, and blue printed building plans ready for a 2,000 sq ft home plus decks. You can modify the house plans if desired before construction. Over 200 degrees of lake view and is situated very close to the lake and about 400 ft above the lake with a vertical drop off in the front and virgin rain forest spreading out below and around. No one will ever be able to block your total view of the lake. 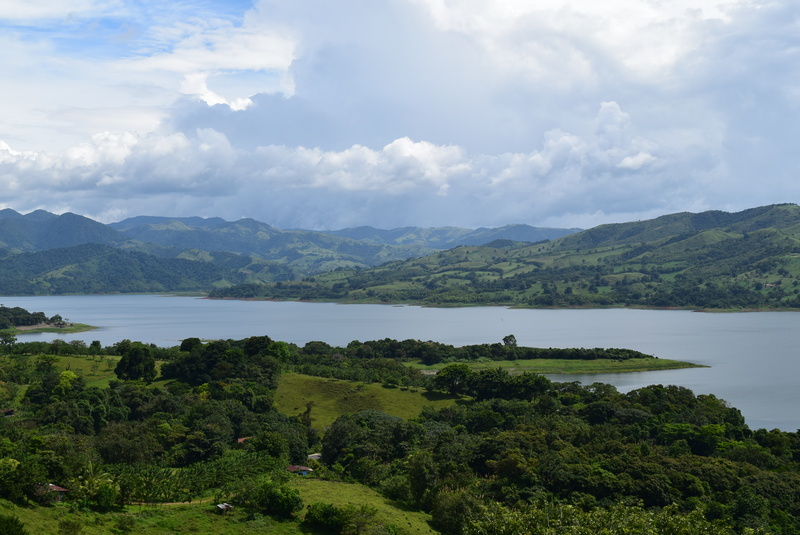 Across the lake you can see the many mountains of the Monteverde cloud forest. Building plans call for 2,000 sq ft home under roof with a single car garage and a fireplace with two balconies. A two story home overlooking the lake. The property has Stewart’s title insurance and a current survey. The lot has already been partly leveled, worked and planted with grass sod. There is water and septic tank already installed. Electricity is about 400 meters away. This lot features the most amazing view of all around the lake ! Note however that only about 10% of land is usable. The rest slopes down very steeply. I am intressted in this plot. Can you give me information about the planed building costs of the 2000 s.yard project. And also the exact location. I have a frind in arenal to check it for me. Still living inSwitzerland but planing to relocate within the next half year. Building cost is about $900/m2.